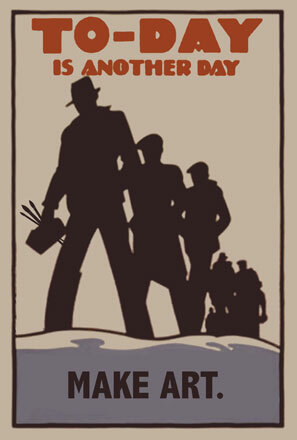 Call to Artists: I am doing research for an upcoming exhibit (deadline Dec 2011) that I will be curating. I am looking for artist's books that deal with natural disasters such as hurricanes, earthquakes, floods, tornadoes, volcanic eruption and accidental disasters such as oil spills and nuclear accidents that have resulted in loss of lives. I am looking for books that tell a story, are thoroughly researched and reflect and respond to the theme through the design not only of the text and images, but also in the concept of structure. All the elements within the work should have a voice, directly informing the viewer of its meaning and giving the book multiple readings. The artist point of view is important, giving their vision a physical reality and challenging the viewer to its multiple dimensions. Please respond to mgpstudio@aol.com with a description and one jpg image of the work. Tickets available in advance through Brown Paper Tickets, or at the door. Three pairings between local book artists and choreographers explore the unique challenge of how a book can become a dance. Philadelphia dance companies interpret handcrafted and unique books, selected from many submissions by Philadelphia Center for the Book members. The choreographic creations will be followed by a discussion with the Choreographers and Book Artists, moderated by Philadelphia Center for the Book’s Curator, Mary Tasillo. The performances will continue throughout the weekend at the historic Christ Church Neighborhood House, 20 North American Street in Old City on Saturday May 28th at 7 & 9 pm and Sunday, May 29th at 7 pm. These performances are co-presented by Philadelphia Dance Projects and made possible by a grant from New Stages for Dance, a program of Dance USA/Philadelphia. All three works are world premieres and explore different aspects of the natural and the organic world. This show addresses several aspects of what it means to be a working artist during this economically difficult time that has come to be referred to as " The Great Recession." The curator and artists have taken a broad approach to the phrase, "Art in The Great Recession," references and interpretations of the theme range from elements and causes of our country's current recession, to the methods and materials artists end up using in response to their economic situation. The works included in this exhibit are all from artists living and working in the Philadelphia area and include a broad range of materials and disciplines. Marbling is a process of dropping paint on a fluid carageenan surface, drawing with stylus, rake, and comb, then laying down a treated paper to transfer the design. We will review traditional patterns and invent new ones to fully explore the opportunities of the floating paint. We will work in acrylic to open up the possibility of marbling over paste or painted paper. Marbling is visually interesting at every step, providing a unique artmaking experience. 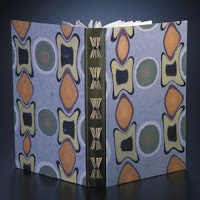 Val Wells has exhibited albums and journals which feature her original marbled papers at craft fairs throughout the Northeast. She has studied bookbinding and marbling since 1985, completing a BA in book arts. She is currently studying occupational therapy in a graduate program. published book that will feature Artists' Books. 2012), which will present 1000 images of artists' books. SCA is looking for artwork created in the form of handmade artist’s books—using traditional bookmaking methods, or contemporary, unconventional structures, or made by altering existing books. Open to any method, in any media, on any subject. Gallery visitors will be permitted to handle the books with care. It has been almost a month since our First Annual Edible Book Fest and we are overdue for a recap! We had seven edible book entries and many delicious non-book items to enjoy while our members described and demonstrated their delectable, wordy experiments. Donna Globus won first prize for her working Jacobs Ladder: BOOKS TO EAT, which was as tasty as it was functional. Jessica Hoffman took second for Isildur's Bane, the One (donut) Ring with elvish script on a mound of delicious chocolate fondant as dark as Mordor itself. Scott Ziegler's well-engineered Manuscript Volumes with Hummos Ink Wells won third place. Other exemplary edible books were Caroline Ziegler's Edible Book Accordion and Karen Lightner's Alphabet Soup. Lots of fun and incongruous bites were had by all! Our members' very adventurous first attempts led to many flops and abandoned dishes. Next year maybe we'll display the practice pieces on an Experiment Table.